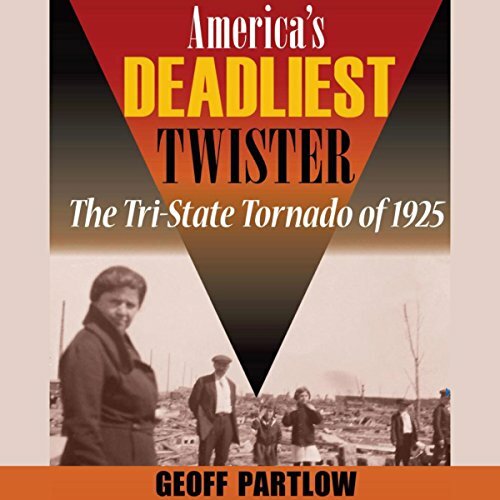 Showing results by author "Geoff Partlow"
Disaster relief as we know it did not exist when the deadliest tornado in U.S. history gouged a path from southeast Missouri through southern Illinois and into southwestern Indiana. The tri-state tornado of 1925 hugged the ground for 219 miles, generated wind speeds in excess of 300 miles per hour, and killed 695 people. Just facts, awful narration. Do not recommend!